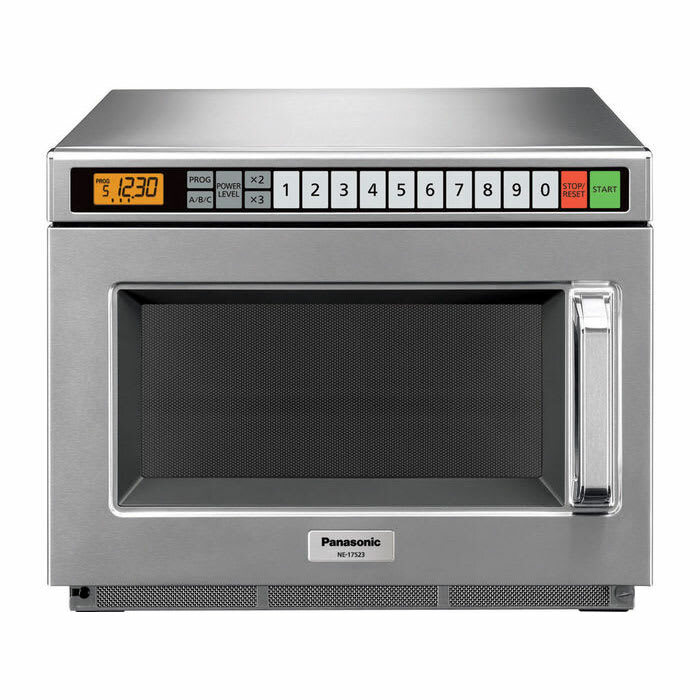 The Panasonic NE-21523 commercial microwave has programmable memory pads that can hold 90 functions, making it easy to perform common applications during busy hours. There is a program lock to limit access to these functions, helping prevent setting tampering. 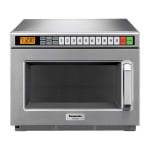 This unit can perform a variety of tasks since it has five-stage cooking available. There are also 15 power levels to increase the versatility, which can be accessed through the selector pad. An LED display enables the user to monitor the countdown timer. To keep the system running properly, self-diagnostics monitor operation and provide failure codes on the display if a malfunction occurs. 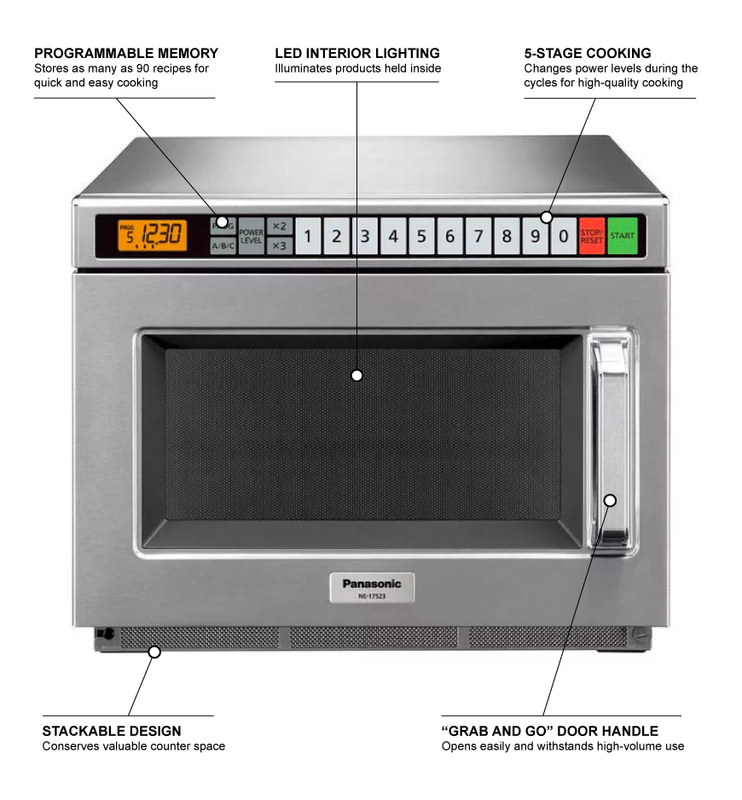 Energy-efficient LED lighting in the Panasonic NE-21523 commercial microwave enables staff to monitor the heating process. Accessing the cavity is simple with the grab-and-go handle, but excessive energy is sealed in by the safety door seal system.